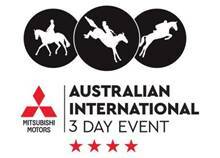 This year’s 2018 Mitsubishi Motors Australian International 3 Day Event will celebrate the life, achievements and vision of former Au3DE Event Director, Gillian Rolton OAM, an equestrian icon and dual Olympic gold medallist. With the upcoming 1-year anniversary of her passing, the event will be a reflection on the impact Gill has had not only on the event itself but the sport of equestrian in Australia. 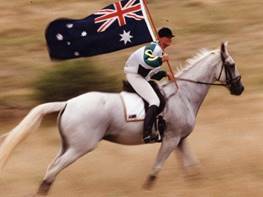 Gillian was the first Australian woman to win an Olympic equestrian gold medal, as part of the 1992 three-day event team in Barcelona. She then returned four years later to win a second team gold medal in 1996, both times riding her beloved grey Peppermint Grove, known as “Freddy’’. Gill and Peppermint Grove’s story reached legend status and they became a household name at the 1996 Atlanta Olympic Games when ‘Freddy’ lost his balance and threw her early on the course. Despite a broken collarbone and ribs, she remounted determined to finish the cross-country course for Australia and enabling them to take home gold. She was a pioneer for sporting excellence as a competitor, but also as an administrator. Gillian served as the director of the Adelaide event for the past 10 years. The development of the 4-star Olympic standard event in the Adelaide parklands was her vision, which she nurtured for a decade, culminating in it being recognised as one of the top three-day events in the world and the leading competition in the southern hemisphere. Gillian’s favourite discipline was always the Cross-Country phase and her contribution to the sport and this exciting day will be reflected in the Olympic themed cross-country jump in Victoria Park. The Gillian Rolton Olympic Memorial Fence will be situated early in the four-star cross-country course as jump 5a,b,c. Juliet and Wendy all were members of an Australian Olympic team with Gillian Rolton and will talk about some of the experiences that they have had with Gill, her legacy and her role as a pioneer of women in sport. Official Proceedings will start at midday. A Cancer Council fundraiser has been created by Gillian’s husband Greg. Peppermint Fred plush toys will be sold throughout the event to raise money for Cancer Council SA. Peppermint Fred gets his name form Gillian’s beloved dual Olympic Gold Medal horse Peppermint Grove, whose stable name was Fred. During Gillian’s two-year battle with endometrial cancer, she set up a partnership between the 3 Day Event and Cancer Council SA. Gillian was keen to leave behind a legacy to support cancer research, raise awareness and provide support to those that are suffering from cancer. All profits raise from the sale of Peppermint Fred go directly to Cancer Council SA. Belinda Lindh, Event Director, says “Gillian was an inspiration to so many people across the world and has had such a huge impact on the Australian International 3 Day Event. In honour of her impact and love for the Aus3DE, we will be celebrating her life throughout the event. Gill has left a lasting legacy in Adelaide’s Australian International 3 Day Event, and she will be fondly remembered for her tenacity and dedication towards all that she did. She would have loved ‘Peppermint Fred’ and would have been proud to see cancer research being supported this way at the Aus3DE”. The two-time Olympic gold medallist will be remembered as a hardworking trailblazer, who was the first Australian woman to win Olympic and world championship equestrian events. AUSTRALIAN equestrian great and dual Olympic gold medallist Gillian Rolton is one of the most distinguished equestrian riders Australia has ever produced after winning Olympic gold in Barcelona in 1992 and Atlanta in 1996 — both times on her horse Peppermint Grove, she will be forever etched into Australian Olympic folklore. Gill achieved legendary status in Atlanta when she fell during competition and broke her collarbone and ribs, but got up and completed the course to help Australia to back-to-back Olympic gold medals in team eventing. Her performance at Atlanta in 1996 was where the Olympic legend was born. Riding trusty steed Peppermint Grove, she sustained severe injuries in two falls before remounting and finishing the course. She went to hospital where she was refused painkilling drugs in case she was needed to ride again the next day. Her bravery served as an inspiration to her fellow riders and the entire Australian Olympic team. Heavily-injured equestrian champion Gillian Rolton with Wendy Schaeffer wearing gold medals won at the 1996 Atlanta Olympic Games. Her first gold at Barcelona in 1992 proved to be a milestone in Australian eventing with Gill becoming the first Aussie female to medal at an Olympic Games or World Championships. 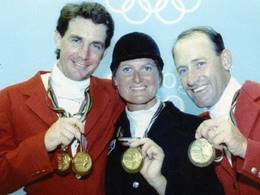 Australian Olympic gold medal-winning equestrians Matthew Ryan, Gillian Rolton and Andrew Hoy with their gold medals won at the 1992 Barcelona Olympic Games. A flag-bearer at the Sydney 2000 Olympic Games, Gillian’s outstanding and distinguished career was recognised in 2010 when she was an inaugural inductee into the South Australian Sport Hall of Fame. In 2016, she was elevated to the status of Legend alongside Sir Donald Bradman, Barrie Robran, Bart Cummings and Victor Richardson. Throughout her career Gillian Rolton fought adversity with the utmost courage and determination and it is in this way she took on the challenge of meeting her diagnosis of terminal cancer head-on. Diagnosed with endometrial cancer two years before she passed away, doctors later found metastatic cancer in her groin. After chemotherapy they told her there was nothing else they could do and she was admitted to hospital in Adelaide, passing away on the 18th of November, 2017. But she remained positive right to the end, continuing to work on organising the 2017 Australian International 3DE from her hospital bed. Gillian was the first Australian woman to win Olympic and World Championship equestrian events and has been credited for sparking interest amongst a generation of riders in Australia and worldwide following her high-profile exploits. This year’s event will be a tribute and celebration of her life and her many achievements.